You might’ve heard that just last month, we launched in over 100 countries, including the Middle East and North Africa! In these territories, and all over the world, muslims are currently celebrating Ramadan and we’re very excited to bring the superb Adventures of Zee to Hopster as our very first special. 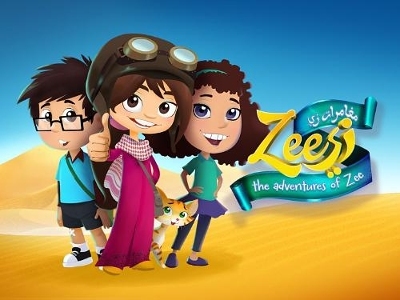 The Adventures of Zee is a delightful series from the lovely bunch over at AppyKids. It started its life on their YouTube channel, and we think it’s a fantastic fit for Hopster. It’s got more adventure and exploration in it than you can shake a stick at, and teaches kids all about core values like Friendship, The World Around You, and Nature. These are all themes that form part of the Hopster Curriculum. She is an adventurous little girl. Her mum and dad (or Baba and Mama, as they’re called in the cartoon) inspire her to be curious and thirsty for knowledge, while her grandmother (Tettah) fascinates her with beautiful stories. With her cat Caramella and her friends Karim and Farah, she goes on fun journeys around the world to learn about new cultures and religion, friendship, and even the environment. In one of our first special episodes, Zee and her friends go on the hunt for the ingredients of the traditional Ma’amoul meal that is made for Iftar. Iftar is the meal that’s eaten after sunset to break the fast. What we will tell you a bit more about though, is Ramadan. Observed all over the world by muslims, Ramadan is one of the holiest months in Islam. It is also the ninth month of the Islamic calendar, and the month when Muslims believe Allah revealed the Qu’ran to the Prophet Mohammad. You’ve probably heard of the fasting aspect of Ramadan. What you might not know yet is that it’s about much more than just not eating or drinking between sun up and sun down. Ramadan is the time to be humble, kind, giving, and self-disciplined. During Ramadan, you don’t just not eat during the day, you also cannot swear, curse, or lie (not that anybody’s condoning it during the remainder of the year!). Muslims are also expected to give 2.5% of their income to the poor as what is called Zakat. As such, the whole event encourages Muslims to be better people. Pretty cool, right? AppyKids have some great ideas on their blog on how your kids can get involved with Ramadan even if they’re not fasting. If you’re not a Muslim, it’s still an interesting read – and perhaps you can find some things to try out in your family regardless of religion! Kids are exempt from mandatory fasting (but they can observe in other ways). The date of Ramadan changes every year. That’s because the start is determined by the lunar (moon) calendar. 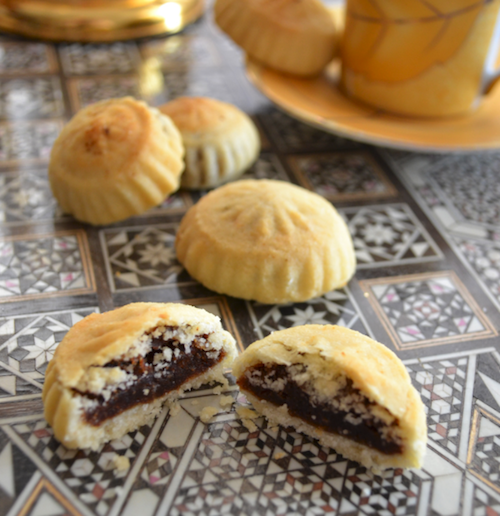 Ironically, many people gain weight during Ramadan. During the day, it’s hard to do much sports on an empty stomach, and the majority of daily calories comes from Iftar (the fast-breaking meal) shortly before bed-time! Every evening during Ramadan, the Tarawih prayer is offered, which covers about 1/30th of the Qu’ran. During Ramadan, you can pretty much get through the whole Qu’ran that way! If you’re a non-Muslim and want to wish someone a happy Ramadan, simply say “Ramadan Mubarak”, which means “have a blessed Ramadan”.